When the entire universe is at stake, three different Doctors will unite to save it. The Tenth Doctor is hunting shape-shifting Zygons in Elizabethan England. The Eleventh is investigating a rift in space-time in the present day. And one other – the man they used to be but never speak of – is fighting the Daleks in the darkest days of the Time War. 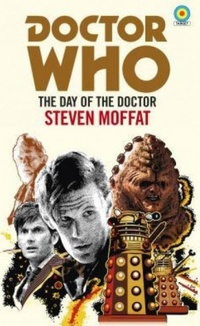 Driven by demons and despair, this battle-scarred Doctor is set to take a devastating decision that will threaten the survival of the entire universe… a decision that not even a Time Lord can take alone. On this day, the Doctor’s different incarnations will come together to save the Earth… to save the universe… and to save his soul.